• Next is the Semiconductors segment. 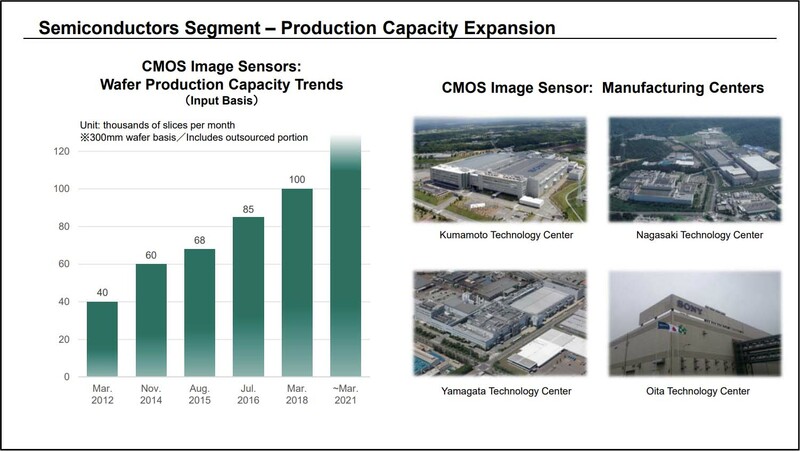 • FY18 Q3 sales decreased 8% year-on-year to 230.3 billion yen, primarily due to a decrease in unit sales of image sensors for mobile devices. • Operating income decreased 14.0 billion yen year-on-year to 46.5 billion yen. 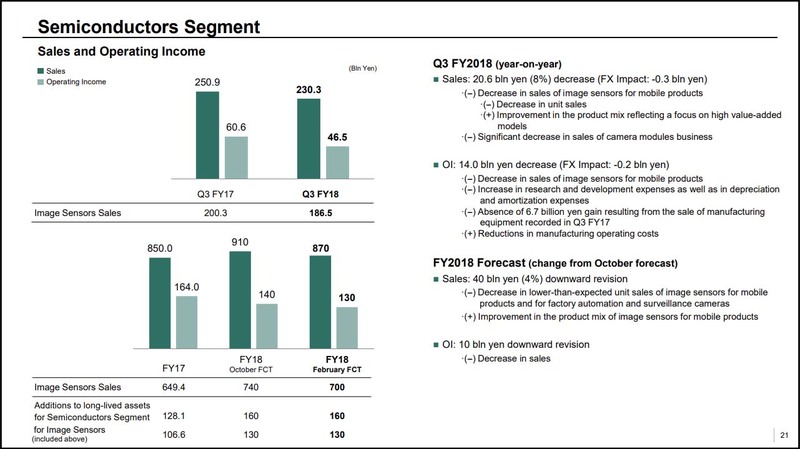 • This was primarily due to the impact of the decrease in sales, an increase in research and development and depreciation expenses and the recording of a 6.7 billion yen gain on the sale of manufacturing equipment in the same quarter of the previous fiscal year. • We have downwardly revised our FY18 sales forecast to 870 billion yen and operating income to 130 billion yen. • This downward revision is primarily due to a reduction in the unit sales forecast for image sensors resulting from a deterioration in the smartphone market. • Although we expect the difficult market environment for smartphones to continue going forward, we are seeing high-end sensors adopted in both highend and mid-range models as smartphone makers seek to differentiate their products through camera functionality. • Consequently, there is no change to our view that demand for the high-end image sensors that Sony excels at making will continue to increase due to the trend toward multi-lens cameras and larger die-sizes. There is also no change to the plan I recently outlined to increase our production capacity to nearly the maximum that can fit into our existing facilities. • However, as I have said in the past, if trends in demand change going forward, we will modify things like timing in a flexible manner. This entry was posted in Financial results and tagged Financial Report. Bookmark the permalink. Trackbacks are closed, but you can post a comment.